Living with bipolar disorder can be seen as an exercise in both patience and proactive planning. Patience, because the fact is that bipolar disorder is a chronic and complex mental health disorder that is ever shifting, and proactive planning is key to managing the warning signs of an impending relapse. And relapse there will be. Bipolar disorder is a lifelong diagnosis, the alternating manic and depressive episodes that one must learn to manage. Even the most valiant efforts to stave off recurrence may fail when signs of bipolar depression relapse are flashing. But doing something is a better option than doing nothing when impending relapse is on the horizon. Sometimes a relapse will completely surprise the person. There may not be any foreseeable signs of bipolar depression relapse on the horizon—it just happens. Even though the relapse was unforeseen, there are still steps to take to mitigate the symptoms of depression. Living with bipolar disorder is all about management. Bipolar disorder, once known as manic-depressive disorder, is a mental illness that features extreme shifts between manic emotional states and depressive emotional states. In most cases, bipolar disorder appears in the teen or early adult years, and affects 2.6% of the U.S. adult population, or approximately 5.7 million people, according to the National Institute on Mental Illness. Of those diagnosed with bipolar disorder, more than 8 out of 10 will have a severe form of the mental health disorder. Bipolar I Disorder: Features dramatic mood swings between manic episodes and depressive episodes, with normal period between them. Bipolar II Disorder: Features at least one depressive episode and one hypomanic (less severe than manic) episode. Depression symptoms are more prevalent. Cyclothymic Disorder: Features milder versions of both mania and depression that occur often. Bipolar Disorder Not Otherwise Specified: Features the symptoms of mania and depression that do not meet diagnostic criteria. Although the actual cause of a bipolar relapse is still unknown, there may be a pattern of triggers or situations that can lead to a bipolar depression relapse. Lack of sleep and too much stress are common triggers that can bring on a bipolar relapse. 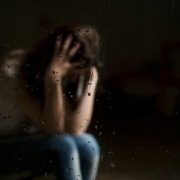 Research shows that at least 75% of those with bipolar disorder will experience relapse, according to a study published in the Iranian Journal of Psychiatry. Bipolar II disorder, which is defined by the prevalence of depressive episodes, is more prone to relapse. When the signs of an impending relapse are seen, as often they are not and depression can suddenly appear without warning, there are some steps to take to ward off the relapse. Because bipolar is a chronic condition, it may help track the triggers or symptoms of the disorder by keeping a journal. This is a tool that may begin to reveal a pattern of signs that can help the individual become more aware of a forthcoming relapse back into depression. Also, just anticipating events or situations that might trigger a depressive episode can help prepare for it. Noting on a calendar a few days before a potentially triggering event can help one focus on self-care, to take proactive steps that can possibly diminish the impact of the event. This might include massage therapy, acupuncture, mindfulness meditation, getting quality sleep, eating nutrition rich foods, and seeing the therapist. Although there is no cure for bipolar disorder, the condition can be managed using a combination of psychotherapy, medication, and lifestyle adjustments. By being vigilant and proactive with these interventions, an individual can expect to enjoy more stability and overall wellness while living a productive life. Medication: Mood stabilizing medications, such as antipsychotics and antidepressants, are the most commonly prescribed drugs for treating bipolar disorder. Lithium is the most commonly prescribed medication for controlling bipolar disorder, while anticonvulsants and SSRIs are also utilized often as well. It is important for patients to comply with their medication schedule and dosing to maintain stability. Psychotherapy: Because thoughts can influence behaviors, and negative thoughts can lead to self-destructive behaviors, cognitive behavioral therapy is an excellent therapy for helping individuals with bipolar disorder. CBT helps one identify and correct the irrational and troublesome behavior patterns associated with bipolar disorder. Lifestyle: Establishing a healthy routine is an essential aspect of managing bipolar disorder. Sticking to a regular sleep schedule, getting regular exercise, eating nutritiously, and managing stress are all intrinsic to achieving stability and reducing the probability of a relapse. Even a diligent adherence to these important treatment methods may not deter the signs of bipolar depression relapse. Bipolar disorder remains an unexplained mystery in many ways, including the cycling of relapses. However, by charting thoughts, feelings, situations, trigger exposures, emotional issues, work and family issues, and health conditions, managing pre-relapse situations and taking proactive steps can help avoid the onset of a relapse. 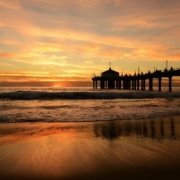 Elevation Behavioral Health is a Los Angeles-based mental health provider that provides residential services for individuals with bipolar disorder. When symptoms have worsened and relapse becomes a chronic issue, a stay at Elevation Behavioral Health may provide the intensive and focused care needed. Our expert clinical team will design a customized treatment protocol that addresses each individual’s unique bipolar features for best results. Using a medley of evidence-based therapies and holistic approaches, Elevation Behavioral Health addresses all aspects of the person. For more details about our residential program, please contact Elevation today at (888) 561-0868. Anxiety disorder can profoundly impact our lives, beyond the common symptoms of sensitivity to stress. One of the ways anxiety can disrupt our daily lives is through impaired cognitive functioning. 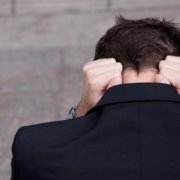 Anxiety and inability to focus at work or school appear to be interconnected. As anxiety symptoms escalate, the mind struggles to stay on task. Short-term memory functions are affected by anxiety as well, causing difficulty in remembering tasks or projects that are due, only adding to the work performance challenges. Nearly one in five American adults are affected by anxiety disorder, according to the Anxiety and Depression Association of America. 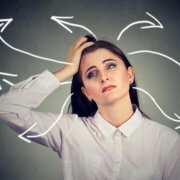 Learning techniques that can help manage the symptoms of anxiety and inability to focus is an essential strategy for individuals struggling with an anxiety disorder. Individuals who struggle with anxiety often experience symptoms of mental confusion, foggy thinking, forgetfulness, and difficulty concentrating. While these symptoms may ebb and flow depending on the day and the stress load, they can be very frustrating for those with anxiety disorder. Persistently elevated stress hormones, such as cortisol and adrenaline, are the cause of the brain fog that plagues individuals with anxiety disorder. This stress response has an adverse effect on cognitive functions, such as anxiety and inability to focus and short-term memory functioning. Poor concentration and lack of focus are common symptoms of anxiety disorder. Take short breaks often. Instead of attempting to plow through a large block of focused work time, which will lead to wandering attention and loss of interest in the task, break up the work into smaller segments with short breaks in between. Make a to-do list. Start each day with a list of items that must be accomplished during the day. Allow for free time during the day as well, to intersperse enjoyable activities that will help keep you from burning out. Practice mindfulness. Training yourself to stay in the moment can help improve focus and concentration on the project at hand. When the mind begins to wander, rein it back in and refocus on the present moment. Switch tasks. When you begin to find yourself spacing out and losing focus, switch to a different task. Alternating your attention between the two tasks can help relieve boredom and stimulate better concentration. Mind your own business. Anxiety can lead to excessive worrying about things outside your control. Too often the mind wanders to unproductive worrying that stokes anxiety and inability to focus. Keep your mind on the task at hand. For many people with anxiety disorder, outpatient psychiatric services may provide the means to manage the disorder effectively. Some, however, may find their anxiety disorder worsening over time. When reaching the point where relentless worry causes impaired daily functioning due to anxiety and inability to focus at all, a residential anxiety treatment program may be the best treatment option. The residential anxiety treatment program can take a deeper look into the issues that may be impacting the anxiety using a more focused approach. Upon intake, a thorough evaluation of the anxiety disorder will provide information, such as a detailed medical and psychiatric history and a review of medications, which can allow the psychiatrist to diagnose the specific features of the anxiety disorder. Using this as a template, an individualized treatment plan can be crafted. The comprehensive treatment approach will involve several therapeutic sessions during the day, such as individual psychotherapy, group therapy, life skills, family therapy, mindfulness training, deep breathing exercises, yoga, and other relevant therapies. Cognitive behavioral therapy can help individuals who struggle with anxiety and inability to focus by identifying disordered thoughts that may fuel the anxiety. It is important to continue to receive aftercare services following a residential program in order to reinforce the new strategies learned in treatment. Outpatient therapy is recommended on a weekly basis, which provides the ongoing support needed as the individual transitions back to their regular daily life. These sessions provide the necessary “tune-ups” when new stressors emerge that can trigger anxiety and psychological setbacks. Finding a support group is also a beneficial aftercare activity. Being able to discuss daily challenges with others who struggle with anxiety disorder provides valuable peer support and creates a sense that one is not alone with these challenges. Group participants can also learn new techniques from each other for managing daily stressors and improving the quality of life. Elevation Behavioral Health provides a proven, evidence-based treatment for the full spectrum of anxiety disorders in a residential setting. Elevation offers a warm, intimate escape from the stressors of daily life that keep your mental health reeling. At Elevation Behavioral Health you can focus your energy and attention on learning new ways to manage anxiety and improve focus. For more information about our program, please contact Elevation today at (888) 561-0868. Many of us in recovery can tell you from experience that trying to get sober on your own rarely works. In fact, many of us tried this before we finally turned to some kind of help. When I was first thinking about getting sober I tried only going to AA meetings. When this didn’t work for me I tried going to only therapy. When I failed again, I finally realized that I needed more help and support. I checked myself into inpatient treatment where I went to regular recovery meetings, had individual and group therapy, and the support of so many people around me. My recovery started working when I became willing to get help from other people. Getting support didn’t mean that I was too weak to do it on my own. It just meant that I realized I didn’t need to make things harder on myself. 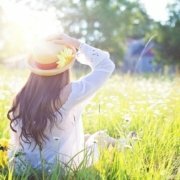 One big reason not to go at it on your own is that the longer someone stays in treatment the more positive the results. The National Institute on Drug Abuse recommends a program of at least 90 days of inpatient treatment. In fact, one of the biggest obstacles in inpatient treatment is people dropping out. People who chose to stay in these programs and stay longer often do better than people who leave or go to a shorter program. Psychological research has supported this claim. A 2006 study by Moos & Moos found that those who got help were more likely than those who didn’t to stay sober for at least three years. According to the National Institute of Heath, treatment for addiction requires continual follow up and monitoring. This is true of any chronic disorder or disease. For example, if you were suffering from diabetes you might need to be hospitalized and work closely with a doctor until everything stabilized. After that you might step down to regular check ins with the doctor and monitoring your own blood sugar. The same kind of care is needed for addiction. Going to inpatient treatment then following a step down program like intensive outpatient and sober living allows people to have more follow up support in recovery. Follow up like this gives people a big network of people to reach out to when they need help or aren’t doing well. Another reason to get support in your early recovery is that different things work for different people. Maybe you know someone who is sober and know what they did in order to start their recovery. The problem is that what works for one person won’t work for everyone. Addiction, treatment, and recovery are not one size fits all. The 1998 MATCH study found that recovery rates depended on matching personal characteristics with the correct type of recovery program for them. In some cases this meant an emphasis on 12 step treatment but for others it meant cognitive behavioral therapy. Although this research is a little dated, the findings still hold true. When finding help for addiction it is important to find the right kind of help. Rather than going it on your own it can be important to reach out to someone who can help you find the right kind of facility or program for you. Another reason to get support in your recovery is that doing different recovery activities has an additive effect according to research by Hillhouse, PhD. This means that treatment plus a twelve step program is better than just treatment on its own. Rather than trying to recover from drug an alcohol addiction with self-help books, it is better to do everything that you can. Going to treatment or only attending only AA meetings might work for some people but for most people it is better to do more. This is also a great reason to check out more than one step-based recovery program, have individual and group therapy, and to have a sponsor and a therapist. All of these different recovery activities will help with something different, so do as many as you’re able to! It is true that recovery often begins with abstinence from drugs, alcohol, or process addictions. However, recovery is much more than abstinence. According to the NIH effective treatment attends to multiple needs of the individual, not just substance use. 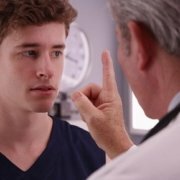 It might be possible to stop drinking or doing drugs on your own. However, it is much harder to deal with the underlying causes of the addiction without any help. The reason that so many people turn to professionals for help is that they can treat the root of the problem. Often drug and alcohol abuse is a symptoms of an underlying issue that is unresolved. By getting support you can get help staying clean and feeling better as well. This is a huge reason to get support in your recovery. It can be risky and even life threatening to stop taking drugs or alcohol without assistance. The National Center for Biotechnology Information has published research that withdrawal from alcohol and benzodiazepines has caused death in some patients. Klonopin withdrawal, for example, may cause seizures, high blood pressure, and suicidal ideations. Due to the dangers of self-detox it is recommended that people who are trying to come off of drugs or alcohol get help doing so. Aside from a medically assisted detox, some people need medication throughout recovery. The Substance Abuse and Mental Health Service Administration favors what is called medication-assisted treatment. This might not be necessary for all people but some do require medication. For example, during treatment someone might discover that they have an underlying depression or anxiety disorder. If this is the case the treatment plan might include medication. It is very hard if not impossible to get the proper medication if you do not have support from a doctor in your recovery. My final reason to reach out for support is that most treatment programs will help you find a job, go back to school, and find housing when you’re ready. Perhaps you can find a reputable sober companion to work with. As I have said more than once in this post, recovery is about more than just not drinking and using. Having this help to find work or pursue your passion can be incredibly helpful when you are going through a period of change. When you try to get sober by yourself there is no one there to help you navigate these life changes.